Week 7 Results and Website Update! Alright, thank you for the patience! Our friend Tony has gotten our site back up and running and I was able to enter all of Tuesday’s results from Week 7 into the standings. 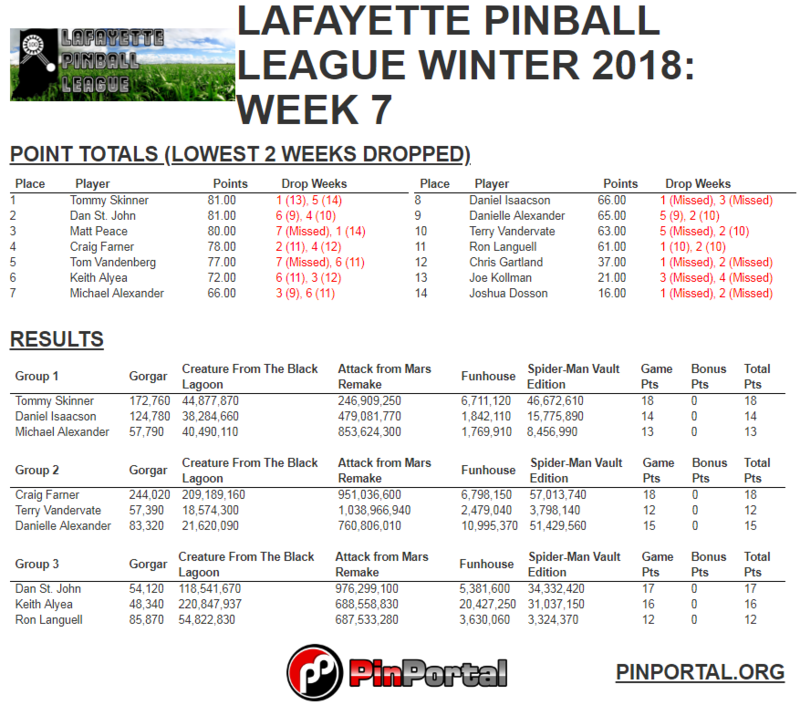 The new league scoring website is www.pinballportal.com and your login information is still the same. If you have any issues or have forgotten your login just let me know and I will get you taken care of in short order. Below are the full results of Tuesday and the current league standings. Next Tuesday is the final week of the season, as of right now we have 12 players who have participated in at least 3 weeks and are eligible for the finals tournament. That means we will split the top 6 into A division, and the bottom 6 into B division, each with their own prize money and trophies.